The 1997 unsolved homicide of Rosalie Miller. On January 20, 1997 the body of an unidentified female was located in a partially wooded area on a residential lot along the Londonderry Turnpike in Auburn, NH. 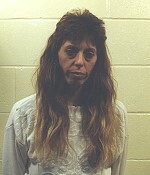 She was later identified by fingerprint comparison as Rosalie Miller, age 36, of Manchester, NH. An autopsy revealed that she died as a result of asphyxiation due to ligature strangulation and her death was ruled a homicide.